I’ve always had a love - hate relationship with toner. I’m torn between the years of magazine skin care advice that tells us to cleanse, tone and moisturise, then the emerging advice that toning isn’t actually all that great, especially if you have oily skin! 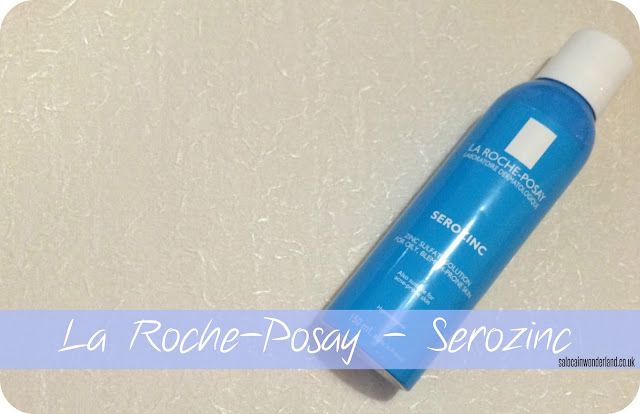 Always looking to bust a beauty myth, when La Roche-Posay asked me try out their SeroZinc toner, I was keen to investigate! 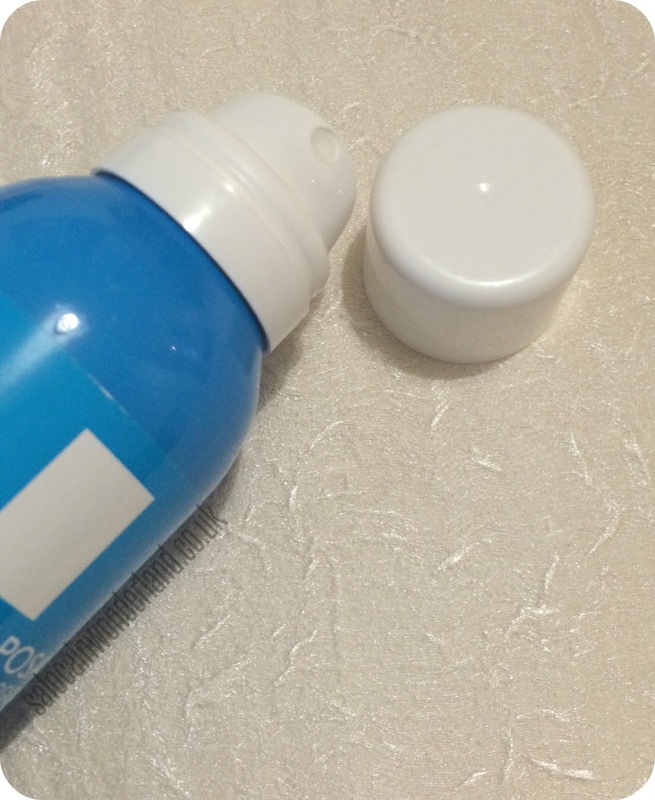 SeroZinc is an aerosol toner that contains zinc sulphate and sodium chloride (salt) to treat oily, blemish prone skin. It's supposed to tighten pores, minimise oil, grease and keep your skin hydrated and moisturised. Zinc is one of those miracle skin workers, an anti-irritant that soothes and reduces redness, effectively reducing the appearance of a breakout. There was a huge hype around this some time ago, so as per usual, its took me forever and a day to see what all the fuss was about. I took to using SeroZinc twice a day, after cleansing and before slathering myself in serum. You mist it directly onto your face, being as liberal as you like, but as I found, less is more! I gave my face and neck a light spray and was instantly reminded of those MagiCool mists! 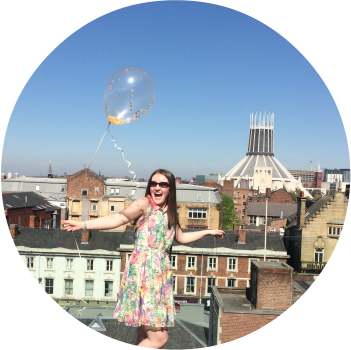 It felt like it had been kept in a fridge and my skin felt really cool and refreshed. So far, so good. You can wipe any excess with a cotton pad, just like you would a normal toner but I preferred to let it dry on its own and pat my skin when it was almost dry, making sure everything was absorbed. Breakout wise, my skin hasn’t been too bad, but the warmer days have certainly sent my sebaceous glands into overdrive - I wasn’t impressed with the ol slip n slide forehead that’s for sure! SeroZinc did seem to control that. My skin didn’t get as oily throughout the day and when used overnight, my face was still pretty matte in the morning. Hurrah! Now, the downside. Ah, I really did want to love this product 110% and be converted back to using toner again but after 2 weeks of twice daily use, my skin started to feel really tight and dry. I switched to using it just once a day but the tightness didn’t improve. This was the only new thing in my routine at the time so what else could be the blame? Though I don’t think it works for me in the long run, this would be ideal for a short break of summer holiday, especially to soothe my skin when I’ve played too long in the sun or spent too much time in the pool! If you’re suffering from excessive breakouts, irritated skin and redness, then this is well worth trying out, at £8.50 a can, it’s not too high a price point for a little skincare experimentation. Have you tried SeroZinc or zinc sulphate in your regime? Let me know in the comments below! Thanks! it's well worth checking out!